Exciting news! 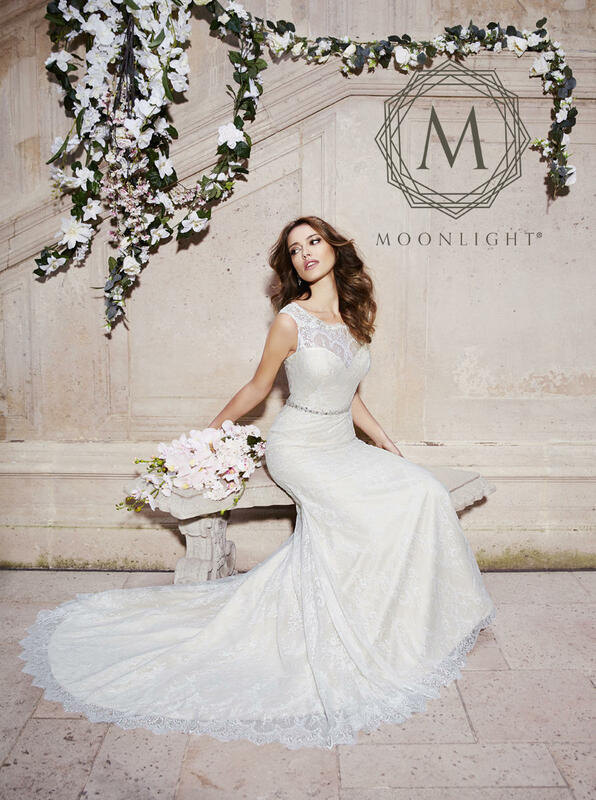 Ferndales Bridal is hosting a Moonlight and Val Stefani Bridal Preview Show Friday 4/26 – Sunday 4/28. We will be receiving bridal dresses as a preview to their Fall 2019 collection. Brides should schedule an appointment soon because these dresses will be returned the following Tuesday. So try on these wedding dresses while they are here! Friday August 26 at 7pm until 9pm we will be hosting a cocktail hour for brides. The designers of Val Setfani, Valorie and Stefani, will be attending all three days of the preview show. Don’t miss your chance to meet these amazing designers! Like always, brides will receive 10% off if they purchase a dress included in this preview show. Additionally, brides who purchase a Moonlight wedding gown during the preview show will receive a complimentary sketch of their dress by the designers as shown below. Hi Ferndales Bridal readers! We are extremely excited to announce that VOWS Magazine will be featuring us in their next issue! This is an amazing opportunity for us to share what our business is all about and give readers a little history on our one-of-a-kind wedding boutique. VOWS Magazine has published over 1,200 articles with the hopes of encouraging, informing, and inspiring. With over 30 years of experience and a new makeover, VOWS provides thought-provoking and up-to-date information regarding bridal retailing and wedding consulting for business wonders. Check out their Facebook to learn more about this dedicated and informative magazine. Please enjoy some pictures showcasing our beautiful dresses, extraordinary employees, and the uniqueness of our store. The wonderful owners of Ferndales Bridal, Tom and Connie Linnert. The amazing staff of Ferndales. Tom and Connie with their beautiful daughters, Emily and Ruth, and their granddaughter, Kika. After 41 years of marriage, Connie and Tom are still very much in love. Our brides are the reason why we love our jobs. Thank you to all brides who have honored us with being able to be a part of their special day. Don’t forget to check out the next issue of VOWS Magazine to see yours truly! Calling all brides! Ferndales Bridal will be hosting a Maggie Sottero week long event that includes Maggie Sottero, Sottero and Midgley, and Rebecca Ingram from March 1 to March 10. Purchase your dress during this event, and you will receive 10% off! You won’t want to miss this special event. Call our store at 714-997-9393 to schedule an appointment to come and try on our dresses! Ferndales Bridal will be participating at this event, so come visit our table to see a couple of the beautiful dresses we carry and meet our bridal consultant team! We look forward to meeting you all and scheduling appointments for you newlyweds. See you there! Maggie Sottero Designs is Taking Over Ferndales Bridal! Experience over 30 brand-new gowns from the Fall 2018 collections—including budget-friendly classics by Rebecca Ingram, ultra-romantic styles by Maggie Sottero, and chic show-stoppers from Sottero and Midgley. Our stylist team will be on hand to help you find the wedding dress of your dreams… Text your bride tribe and book your appointment today! Wilderly is the newest collection from Allure Bridals.